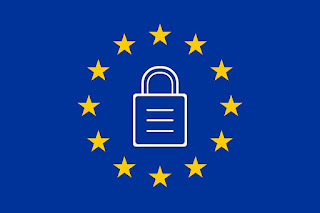 Teachers can set class permissions on where emails can be sent - to others across the school, to teachers, or to their pupils in their class. Teachers can also 'approve' each email that a child may want to send. Therefore lots of control over how you want your class to use it. 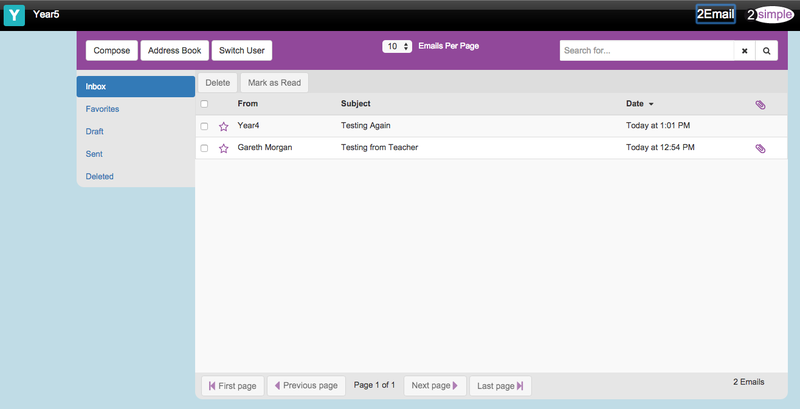 There is also a 'Report to teacher' option if a pupil receives an email that is inappropriate. This email is then deleted from the child's email and the teacher is alerted and can view it (and the email conversation) from their email account. A very neat feature. If you don't want pupils emailing each other, there are the 2Respond Activities within 2Email. 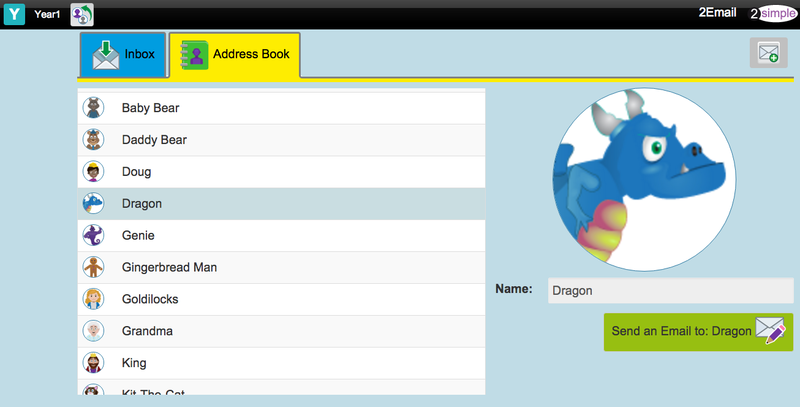 This allows the pupil to have an email exchange with a character. For example, an email exchange at KS2 with Zara who emails the pupil firstly asking for a list of labels that are needed for a classroom play area. The pupil replies and Zara then sends another email asking about the some rules for playing in this area. In the foundation phase an animated dog walks across the screen when an email is sent, and pops up at the bottom of the screen when an email is received. Pupils are also able to use the address book and send emails to various characters such as 'Dragon', 'Genie', 'Queen', 'Little Red Riding Hood' and 'Wolf'. Once an email has been sent they can then 'Switch to Practice User' and become that character and send a message back. In my opinion this tool is quite a nice way to practice using email functions. Everything is there for the pupils, address books, cc, subject line, the message body, forward, sent, favourites, draft and deleted box. 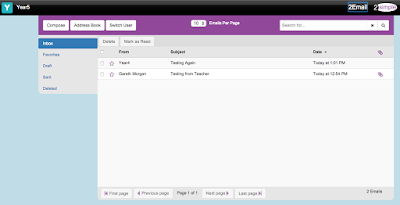 You can even attach pictures or your Purple Mash files which the recipient can preview! With the new Digital Competence Framework on the horizon, it looks like it could be quite a valuable resource to those schools using Purple Mash and wanting to develop the communication and collaboration aspect but maybe are afraid to do this with younger pupils using other cloud technologies.